News - Pole Position Travel - Qatar MotoGP 2019 - Launch - SUPER SPECIAL OFFER! Qatar MotoGP 2019 - Launch - SUPER SPECIAL OFFER! Be the first to book your VIP experience to the circuit of lights and see the opening of the MotoGP 2019! We are delighted to offer a very limited time discount of €200 pp on ALL our packages! Qatar will be the place to be in 2019! With the biggest change to the MotoGP Lineup in recent memory, this will be the raced everyone will be watching! Also, prices in Qatar are down considerably owing to the economic tug-of-war with its neighbours and their programme to attract more tourists. This is a superb value for money event! Best of all, we have offer a hugely discounted price on both packages - €200 less than RRP (and last year) for a very limited time (until Christmas). And definitely consider the VIP Village here. The only place on the track you can get a beer or wine, it also features open paddock access all three days! And Saturday you won't want to miss our glorious Desert Safari. 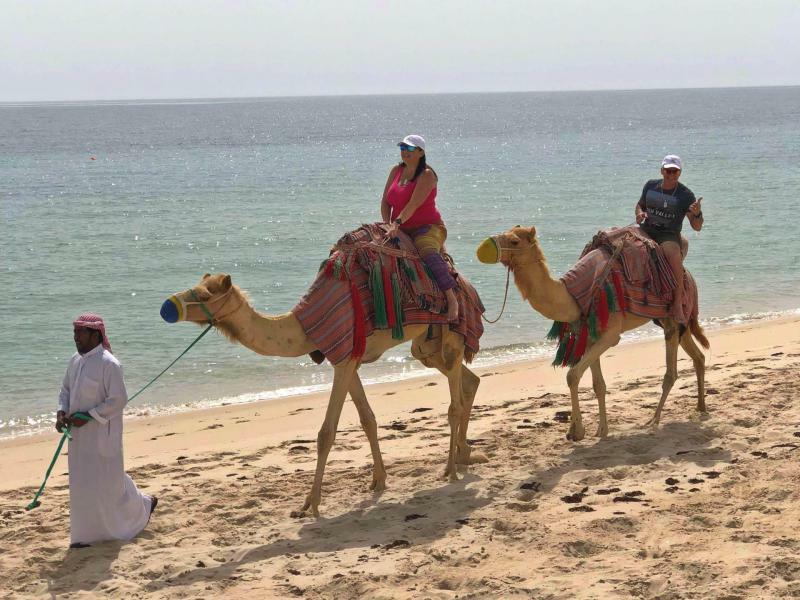 Enjoy a day out on the sand dunes of the north, camel rides, quad biking (extra cost) and lunch near the sea. This is a huge highlight of the weekend. Never made it to this event? Now is the time! Book a few extra days here, super relaxing and surprisingly a lot to see and do. We can advise, after all we have been to every Qatar MotoGP since it all started in 2004! Most of the Desert Safari is done on 4 wheels, but some prefer legs! Rossi was kind enough to stop for a few sigs at our Deluxe hotel!